these clear boxes from Paper Mart. They come in all different sizes and look beautiful when stacked up together. 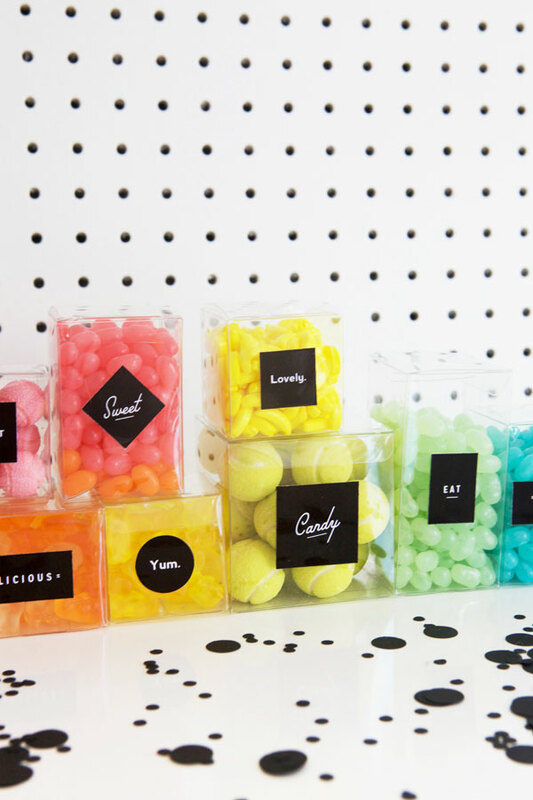 For this party we filled them up with a neon rainbow palette, but it would be easy to find colorful candy to fit any color scheme. We also designed these printable labels to stick to the front of each box and tie them all together. You can make your own with our template and instructions below! 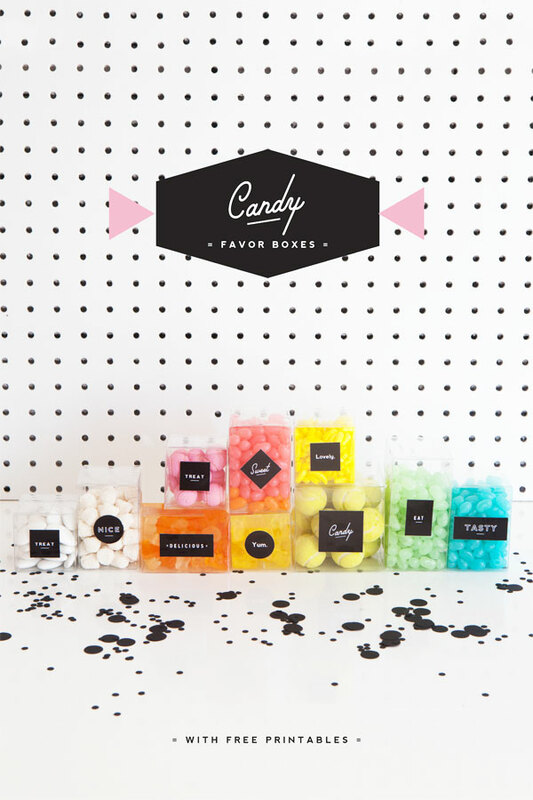 Step 1: Put together the boxes and fill them with different colored candy. Step 2: Print the label template onto glossy paper. Step 3: Use an x-acto knife and ruler to cut out each label. Step 4: Use double sided table to adhere the labels to the boxes. These are gorgeous! Can you share where you buy your candy? These are so cool! Can you share where you buy your candy? ok, what? 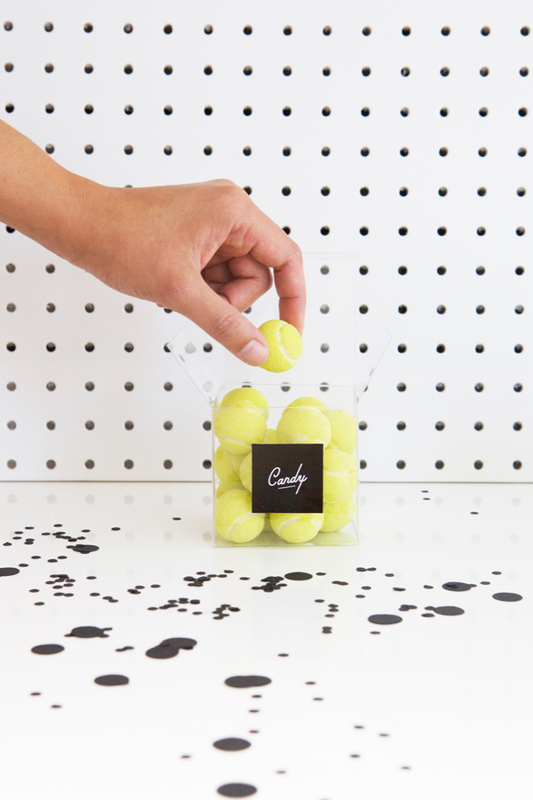 candy tennis balls? I didn’t even know these were a thing -where can I get some? yes these are all super cute! thanks for the ideas! So cute! The labels are adorable! 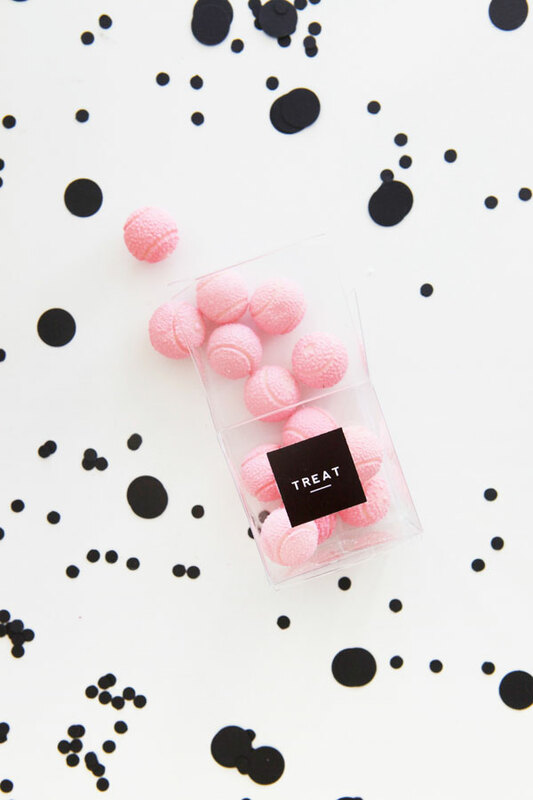 These are so cute and I love those little candies! 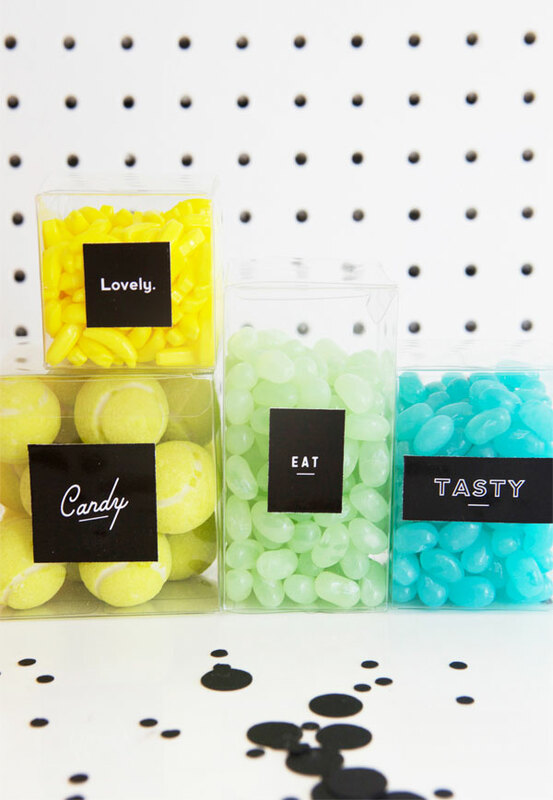 The tennis balls are from Maria Sharapova’s ADORABLE candy line called Sharapova. They also have the cutest candy lips. These are adorable and such a unique idea! I love candy! 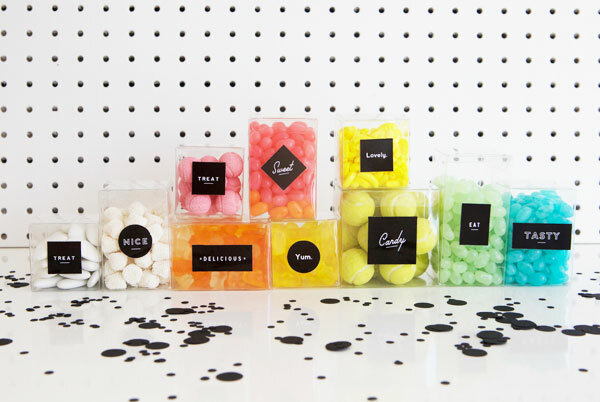 These would be a great little party favours. this just looks so exciting!! Great idea! 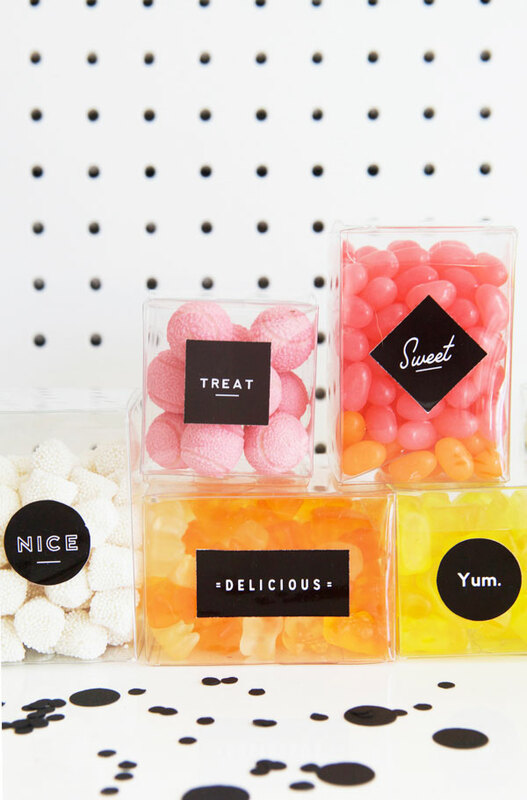 These candy favors are so cute and appealing to the eye! 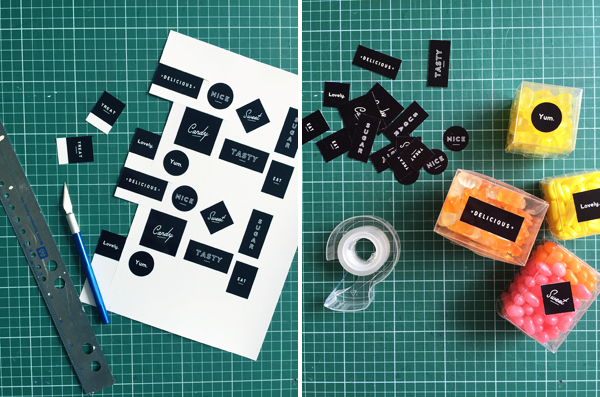 What a wonderful and fun idea to hand out at a party =) Thank you for the free label template.